Shock struck down on Daniel like a hurricane. She knew very Chemical had killed Ihana. Everyone did. But she had never imagined what Chemical had gone through to get there. To her own surprise, she murmured sympathetically: "We all make mistakes sometimes, Chemical. Even I, but we both know I'm not all that efficient. I feel awful for what you went through." The golden-cream female hesitated, unsure if she should comfort the male, or leave him be. "D-do you need some alone time, or can I stay?" She asked, unsure. She wasn't afraid of Chemical, no, that wasn't it. She wouldn't ask him "should" she stay, like somelne whi Chemical held power over might have, but "can" I stay, like she would say to a friend. She kne wChemival deserved more of those. "Ihana was my best friends' daughter, Kendrick and Sharon. But yet, I can't bring myself to hate you for her death." She sighed guiltily. She never knew Ihana well, and knew how much grief Kendrick had from losing Sharon and Ihana. But from everyone's ditress over the snowy white female, she must hav ebeen a very well-liked and kind person. Rennah accidently had over heard Daniel and Chemical's conversation. She had heard that he killed a wolf before but the pup thought it was an old matter already forgiven. 'How had it happened?' She thought. The small white figure hopped off the rock and walked in the opposite direction, not wanting to seem like an eavesdropper. 'It's none of my business.' She said out loud to herself curtly. The blue eyed little one padded off silently, mad at herself for over hearing another's conversation, and went to a snowbank and climbed up unto it. She lied down in the snow packed by the ice and weather and took in the pack from a whole new angle. She smiled, closed her eyes, and curled into a ball to take a small nap. Sideswipe saw Daniel and Chemical Talking. He walked over to them, bored and sat down but quickly zoned out thinking about other stuff and getting distracted. He sat there with a blank stare. Daniel decided to press into Chemical in a comforting gesture. She blinked as Sodeswipe walked up right at that moment. She quickly regained her steady posture, looking over his blank expression. "Uh, Side? You okay?" She asked, taking a quick, apologetic glance. He snapped out of it. "Yup. Just thinking..." he said as he looked down bored. He sniffed the air just then and looked around and sighed. he didn't know what to do. Arrow could hear other voices of his pack but ignored them. "how can they be so happy after one is losted to the pack?" Was running through his head while he stared out at the big mound of snow. Tilting his head to the sky did Arrow let out a pureifingly sad griefed mixed howl to the hevens. His hot breath meeting the cold dead crisp air as he howled creating the steam of mist. Tilting his head back down did he slump into the snowy mound and cry. Hard. his body shaking with huge sobs of deep agony. "Well... everyone else maybe happy and smileing but they no nothing of greif then..." His heart ached with so much anger, agony, sadness, fear, and grief that it felt shattred to the core. "No one can help me..." Was his last thought before he zoned out crying and having sobs here and there. Amethyst turned her head over to Boulder, whom was playing with his friend, but not too long feeling alone when Rennah had retreaded over towards the black wolf (Dark). She then looked over at her mate, whom was deeply depressed about his long lost friend. This made her feel depressed inside her heart. She went over to him again and tried to comfort him without upsetting him even more. "It's going to be alright... I find this saddening too. This truly breaks my heart... But second of all, I really hate to see you in this condition... Everything will be alright now. Well... Not for a long while at least. But in the future, everything will turn to normal". She gave him a few gentle licks on his cheek, hopefully to calm him down a little. Tears came to her eyes as she looked at the dead fae and then back at Arrow. She then felt quite depressed herself. "How can ANYONE be happy at a time like this??" a thought said in her mind. Rennah looked upon Amythest consoling Arrow and frowned. She felt so.. sorrowful. It hurt to see so many beings in such a state of grief. The white pup carefully climbed down from the snow bank. 'I know what I should do,' She thought, trying to make the situation better, she padded off to a ice patch and looked down into it. Hidden underneath the ice was a frozen flower. 'If not for the ice the flower would be long gone by now.' She lifted her front paws and forced them down unto the ice, receiving a crack in response. Repeating the action she eventually broke the ice and gently got the flower out. It was in perfect condition, a small pink pettled wildflower. She carried it over to the snow covered grave with her head lowered in respect. Gently placing the flower on the snow she sat and tried to sing a song her mother had sang when her brother had died. In a soft tone she began to sing the words. "Come young angels, take this beauty away, to a place that's much better than here. For there is so much sadness, now that they're gone, that I don't think they could bare. Please oh dear angel, rest in peace up there, and take our tears away." The pup couldn't remember the rest. She just wanted everyone to be okay, she wanted to take their pain away.. somehow. A small tear fell from her eye and she turned her head to look at the ground. Slowly she walked away from the spot and wandered over to the densite to be sheltered from the gusts of wind steadily making their way towards the koti den. Cinder hides in the bushes. She watches Amethyst and Arrow. Her head tilts and her ears move around. Cinder have been in this sad situation before. This was not new. Before she joined this pack, her birth pack had a battle. More than half of her pack was killed. One tear comes out of her eye. She sighs. Cinder looks at motionless Rad. "You're in a better place now," she whispers to herself. She focuses back on Amethyst and Arrow. Arrow felt the soft licks of his mate and the sweet song of Rennah's howl. He sighed and relpied to his mate. "I dont think so... She was a Friend... a good one as well as Cinder... and I lost her..." Saying Cinders name out loud did he relized her and wonder where she was. Panic flitterd in his chest as he feared she was dead too. But he rememberd she was able to take care of herself. He got up and sat, scanning the packs den with his engulfed green eyes. "Speaking of Cinder where is she?" He whined and felt sick if she too was dead. he look at his mates gold ish amber eyes with his green firery engulfed eyes and waited. Amethyst carefully listened as her mate replied to her. She then noticed his fear of death for another wolf, whom he spoke of which was, Cinder. "Cinder... I haven't seen her in such a long time. But I bet she is somewhere around the Koti Den. I'm sure she is fine. Just relax...". Amethyst made sure to keep her voice tone at a soft volume to reassure the frightened Arrow. "Everything will be okay now... Let's not worry too much now" the Proti said gently as she gave her mate a few more soothing licks to calm him a little more. Cinder walks quietly out of the bushes. "I'm here," she says. She stays about ten feet away. She sits down and she looks at Rad's still body. "Hello, Arrow and Amethyst," Cinder replies, turning her head back towards them. "Long time no see," she says softly. Cinder waits for a reply. This had become a rather horrible routine, to sit upon the hill overlooking the den site. 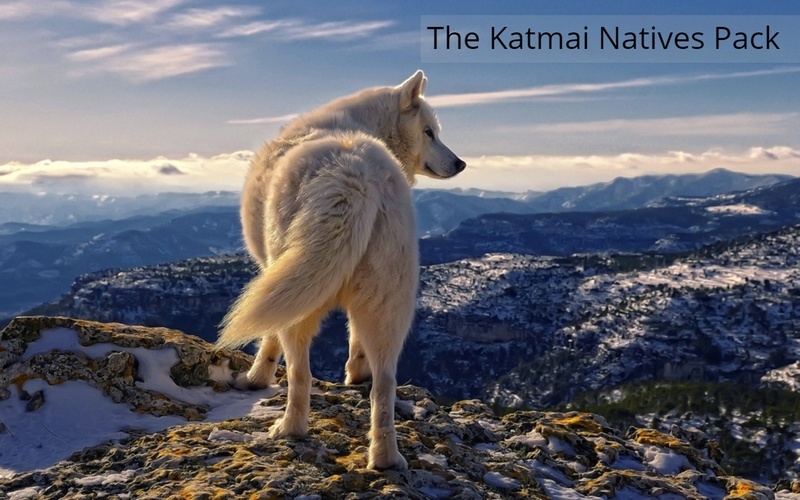 Perched like a hawk, the wolf's unblinking gaze rested on an area beyond the den site where the snow was untouched. Ihana lay there, beyond the touch of a mortal being, beyond the sound of a voice. Gone, decaying, in a matter of a few seconds. Tearing her gaze away, Shadow's glacial optics befell upon the pack den. Some were grieving, some were not. The death toll was rising and winter had yet to strike. Exhaling a sigh, the hot breath slipping from her jaws became a light mist upon the wind. Where was she on this dial, the arrow pointing on neutral? "If time rewound, the fates of an individual would not be altered, merely postponed," a voice spoke, shattering the peace of Shadow's mind. Turning her muzzle, the outline of an earthly toned wolf stood out against the snow. She stood tall, proud, ready to attack. The figure's emerald optics were alight, blazing with fury, hatred, rage. She, the ticking time bomb was as lethal as ever. Shadow blinked and cringed away from the figure but unable to move. Glacial optics wide, she eyed the wolf before her. No, this had to be a dream, or perhaps like in the cliff's the figure would go away. "You reek of fear as you revert to your former self. Have I not taught you the mistakes that weaken you?" The figure snarled, the fur along her spine rising. "Like a wounded bird escaping from a cage you flew away, a coward, a being that deserves to die." 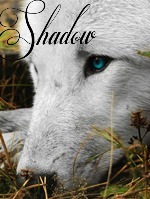 No words came to Shadow's mouth, she could not find her vocals or a response to the figure. "Leave me be," the femme finally spat, jumping to her paws. "Your life is not one of mine, it is not one-"
The earthly toned wolf leapt forward, her claws raking through Shadow's skin. The fine curve of her jaws latching into her skin. "Weakling," the figure spat curling her upper lip to reveal her crimson stained fangs. With a jolt Shadow rolled onto her paws, the figure was gone, any trace of her presence carried away by the wind. Breathing heavily, Shadow stared at the spot which the earthly toned wolf stood upon, not a paw print tainted the canvas, not a scratch of another being coming up the hill. The past, a memory, one she had kept locked away had relived its tale.She was untouched, as if it was a dream but was not. What was this curse? Brightbane yawned, then sighed. Rarely does she let herself get bored, but she felt a tad too lazy to do anything about it. Maybe now that everybody calmed down, I should talk to somebody... Brightbane thought as she got up and walked to what she thought as an slobbering pile of brown (Arrow) and a grey wolf an a black wolf. Brightbane walked over to arrow, a bit hesitant. "Life has many roads to take, and some may lead astray. In this time of sadness, take it day by day, you don't have to cry it out" Brightbane spoke it an strange, wise voice. Her mother once said it, Brightbane herself had no clue what it meant, but assumed the wolf will know. Arrow flicked his ears to see the black she- wolf of Cinder. "Oh thank Lupas your ok!" He barked in a harshed voice that failed by crying so much. Flicking an ear did he turn his head to see a bright reddish ornge pelt of fur (Brightbane). Hearing her words did it sound fimiliar but he could not tell whom. Turning his full atenstion to the bright furred fea did he reply. "Your words are filled with Wisdome that i am greatful for you to use. But i dont think they could work on me today or tomarrow or the next day. I only think time could heal my heart ach that fills me to my Spirit this time. But thank you for trying today." Deep down he knew some where he was right, his mother and father as well brothers and sisters where gone. And now his friend has left him to grief deeply in agony. He lost to many friends on his short life and he would more likly know the next death of a close one would kill him. Sighing did he remember he never seen this wolf around but once when he was enraged about Rads death so he asked her whom she was. "I never seen you around before. Are you new here? He asked in his old friendly sweet way as he waited. Cinder ears perk to the wolf's (Brightbane) words. It reminds her about her past. She lost more than half of her pack members in a fight. Cinder shakes her head quickly and steps back. She avoids saying a word but it didn't work. Brightbane's words stick her Cinder's head. "Stop!" she says quietly to herself. Her tail touches the bushes and she gets startled. Cinder jumps up and she bristles her fur. She turns her head towards the wolves. Cinder makes a quick dash towards the bushes, where she disappears. 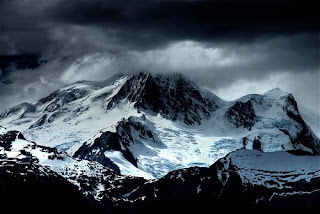 Dark's massive frame emerged from a nearby forest, his pure black pelt easy to make out in the falling snow. He let out a loud yawn before continuing his patrols. Dark couldn't remember how many times he had done this. He suddenly stopped, realizing how drastically his life had changed. He had went from a feared loner, killing without warning and always on the move, fighting, to this. Just a huge wolf who constantly patrolled. Dark slowly sat down, the realization sinking into him. "Was it for the best? Is this what was suppose to happen to me?" Dark asked himself quietly as he looked around the den site, his red eyes glaring. A loud growl erupted from him, his hate for packs was still strong. He stopped himself and shook his head, got back up, and simply began to patrol again. Brightbane smiled, very glad the wolf had replied. Sure, he still wan't looking all to well, but it was progress. "Meh, your right, at least I tried. And yes, i'm indeed new" Brightbane shook her head towards the wolf corpse, which fur was almost gone from it rotting. "Perhaps it would help find peace if you bury her body in the ground?" Brightbane said, back to her cheerful voice. She would of said put flowers on her body then put an plank of wood under her then float her down the river, which was the way her pack gets rid of the body, but she had heard that this pack does not do such things. Arrow did a weak smile before he nodded. "Very well. I will do it my old packs way and this ones." He weezed before geting up and dig near a trees trunk. "Here this tree flowishes and dies... It sleeps and then awakes and watches us thew our beginnigns and ends. Here I, Arrow, Good friend of Rad wish to beary her. So the spirit of Lupas and The tree may guide her soul to peace." He spoke clearer an humble as he finished digging. He soo layed the snow down with flowers and bark and shrivled grass. Then he draged Rad and put her in there. covers her up with the snow and bowed his head. "Sleep in peace, my friend..." Where his last words before howling a song from his old pack. His grief seemed to lift a little by doing this but not enough to make the pain go. After he finished the song he got up and ran looking for a flower and feather. He tried to remember rads favort bird and flower but he could not dig it out of his brain so instead he found his favoits. aSparrows feather and a Orcad wilting. Running back did he put them on her mound of snow. then he sat and watched. this was going to be the ending, after bearing the wolf or wolves whom where close grief most and do not eat or drink or sleep much for 3 days as they feel that their friends soul has traviled safly by the hands of Earth and Lupas. "I must grief for she was close to me. I will not eat sleep much or drink for atlest three days until i feel that her soul has traviled safly." He spoke to everyone around him in a sad mournful but deep and determand voice. Brightbane eyes widened watching the wolf who said was named arrow. Jeez, she Really didn't know she will be attend an wolf burial. The very thought made brightbane want to leave, but her pack would be very upset with with her if she did. Heck, her pack thought this pack was amazing, angels, an pack hidden away from the dangers from the world, up on the mountains. The forgotten pack, thats what they called them. But it is obvious now that they were no angels. They were ordinary wolves will lived on top an freezing mountain, fighting to survive. Brightbane couldn't go back now, to tell them they were just sad and depressed wolves, nothing more. So brightbane sat and watched, her head bowed down sightly in respect. Rennah pondered the sight of the one called Brightbane, the exotic colors of her fur were an odd sight to the pup. She turned her head, looking to the mountains, and wondered how many packs were out there. Did they live nearby? Did they have different customes? She sighed and hopped off the snow mound she previously sat on. She couldn't wait to wonder out into the world and meet other packs and explore, she couldn't wait to be a grown wolf and hunt and have a family.. she paused in her foot steps and changed direction, heading toward the edge of the den territory now instead of the den. Once she had made her way over to the edge of the den territory she sat and smelled the air. It smelled the same as the den, but the air was slightly less active then that of the den. It wasn't stale like when she and her mother made their way through empty lands. She listened for a moment for a sign of danger, but when nothing came she went deep into thought and remembered life before the pack. Cinder dashes towards a large river. Her brain is full of her feared memories. She jumps inside the river. In the river, she sees her birth pack's war happening. Her eyes widens. She could see her pack members being killed by other wolves. Cinder quickly blinks. Her memories were gone. She shakes her head. Her eyes burn. Cinder jumps out of the water. Her fur is soaking wet. She lies by the rocky terrain. Would these horrible memories taunt me? she thought as she stares at the river. The white male moved cautiously through the unfamiliar territory, tracking the oh so familiar scent. Could it be true? Did his freind live? He put his nose to the freshly fallen snow in hopes of scenting which direction she was in. His paws ached from the miles of travel but his eyes shone with happiness. It had been forever since he had last seen his dear freind, but it was odd that he didn't smell her mother's scent here. 'It must have been covered by the snow.' He thought. He turned his head to see a small clearing and a few dens, picking up his pace he moved closer to the small pup. "Ren." He said in awe. "You've grown." He pointed out, sitting a small ways away from the slightly younger pup. He looked her over protectively for any scars or bruises. "Where is Torah? And Roman?" He asked as he looked around for them. Rennah nearly jumped when she heard the familiar voice of her dearest friend Storm. "Oh, Stormy!" She said. "Yes I have grown." She rushed toward him, filling the gap between them and nuzzled him. "Mother... she died, stormy, and Romey has been gone for quite some time now..." She said. 'All this time and he hadn't even known?' She sighed. "I'm sorry Storm, but if it helps, I didn't get to say goodbye either." She said as she sat closely to her dear friend. "How did you even get here?!" She asked in astonishment. "And bye yourself no less! I mean, you're not much older than me." Her opal eyes dazzled with warmth and happiness, she nearly shed a tear at the sight of her friend who was like a brother. "Come, I'll show you around." She said excitedly. She stood and started walking around. "This is the Koti Den, where most of us sleep and just hang out, this is the place I've pretty much stayed because i'm too young to go out and explore," She paused, looking off into the direction she had been found. "Over there is the Plateau, where Dark found me." She added. "Oh, Storm, will you stay here?" She asked, she begged him in her mind to stay. He was the only family she had left. Storm laughed when she asked how he got here. "It was simple enough, I'm nearly an adult." He said. "Never mind all that." He said as she tried to show him around. "Rennah, how have you been? Oh I've missed you! Kodiah says hi and sends good health." He nuzzled her. "Of course i'll stay with you, forever and always if this pack will allow it." He looked down at Renny, nearly a sister to him, he would die for her. "Have they been treating you well? Have you been eating?" He asked protectively.